Exceptional precision for high control quality and productivity in use. The incremental OptoPulse® EIL580 series encoders set a new standard in 58 mm design. Modular robust design and state-of-the-art scanning technology of the basis for different product versions that always allow you to select the correct encoder for your application – and always with an excellent price/performance ratio. 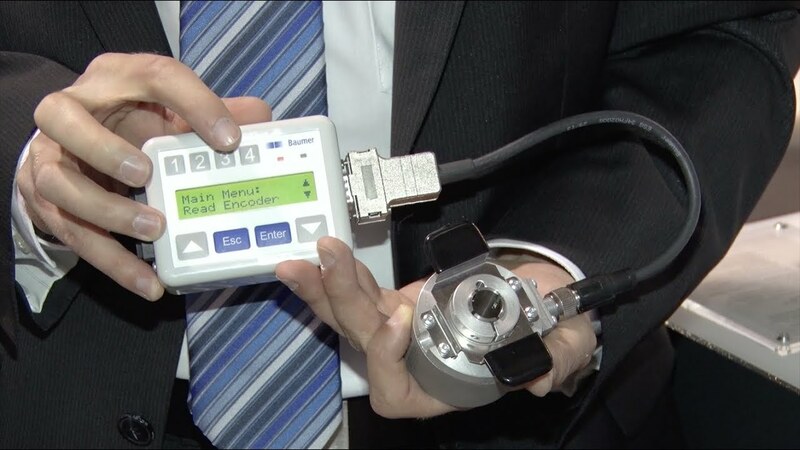 Easy programming with handheld: With the compact handheld, you can program a rotary encoder in a matter of seconds – even if it is already installed in the system. The battery-powered stand-alone solution is very easy to use. Comfort programming with PC software: The convenient PC software is ideal if you want to program several encoders in series as a distributor or drive manufacturer. You simply select the appropriate configuration and a mouse click later the encoder is already programmed. Generously sized and optimally spaced quality ball-bearings prevent the bearing pack from misplacement by high axial shaft load during operation or installation.